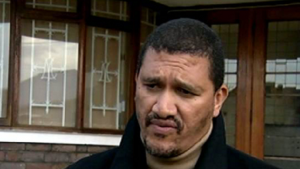 The National Prosecuting Authority has told SABC News that former African National Congress Western Cape chairperson Marius Fransman will appear in the Kimberley Magistrate’s Court. Fransman is accused of sexually assaulting his former personal assistant, Louisa Wynand. Fransman faces charges of sexual assault and crimen injuria. The alleged assault happened in a Kimberley hotel in 2016 when Fransman and his entourage were en-route to the ANC’s January 8th celebrations in the North-West. In December, the NPA said it will prosecute Fransman. “The agreement that was taken recently is that he will be prosecuted in Kimberley, we are just waiting for the national office to give the go-ahead as to when exactly we are going to start with that matter. The decision with regards to where he is going to be prosecuted has already been taken and it is going to be in Kimberley Magistrate’s Court. The final charge sheet has not yet been approved by head-office considering that all these incidents have to be approved and all the documents relating to the charge sheet have to be approved by the national office,” says the NPA’s Phaladi Shuping. The post Marius Fransman to appear in court for sexual assault appeared first on SABC News – Breaking news, special reports, world, business, sport coverage of all South African current events. Africa's news leader..